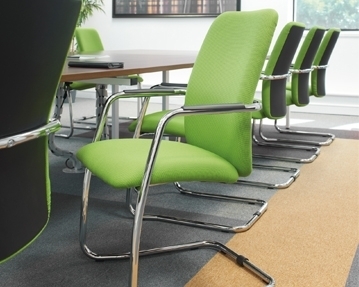 Our collection of stylish and practical visitor chairs are ideal for conference rooms, waiting areas and meeting spaces. 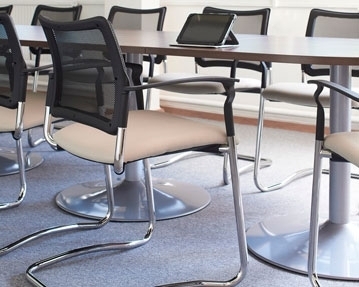 Whether you’re hosting a boardroom meeting or conducting an interview, these superb seating solutions are guaranteed to make a good impression on your clients and customers. 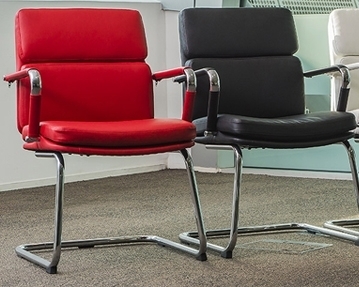 To enhance the user’s seating experience, many of our visitor office chairs also come with a range of useful features, including anti-tilt feet, optional headrests, adjustable armrests, weight tension control and many more. From simple designs like the Ergo basic visitor chair to more luxurious, cushioned seats like the Fiji fabric visitor chair, our extensive range has something for everyone. With such a wide variety of choice on offer, you shouldn’t struggle to find something to suit your style preferences and budget here at Furniture At Work. You can also take your pick from an array of styles, colours and upholsteries, including mesh, leather, leather-effect and fabric. Whatever design you choose, you can rest assured that these seats are made from the highest quality materials and will stand the test of time. 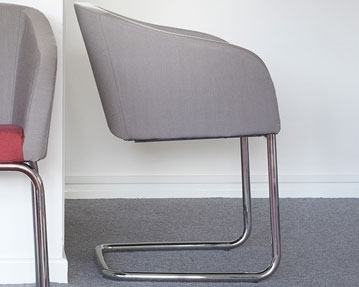 If you’re looking for quality visitor chairs at affordable prices, why not browse our collection further to find the perfect versions for your office?